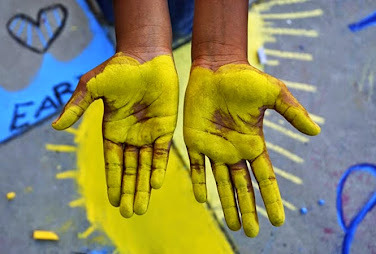 DOGS have proven to be important volunteers during CHALK4PEACE. They enthusiastically clean the sites of any misplaced food. 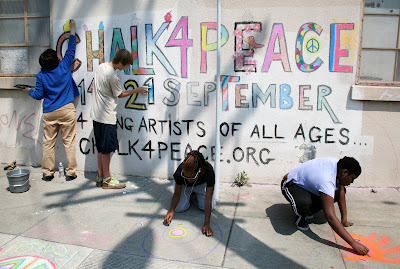 CHALK4PEACE IS AN EVENT FOR EVERYONE...DOGS INCLUDED! 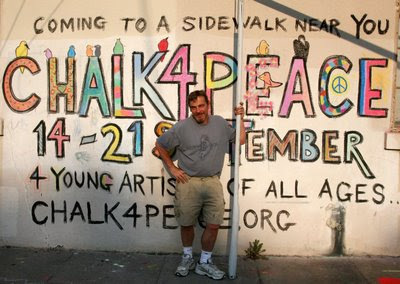 SOME FOLKS JUST CAN'T WAIT 4 CHALK4PEACE! and sang a beautiful empowering routine. noon-4:00. 43rd Street between Linden and Adeline, Oakland. 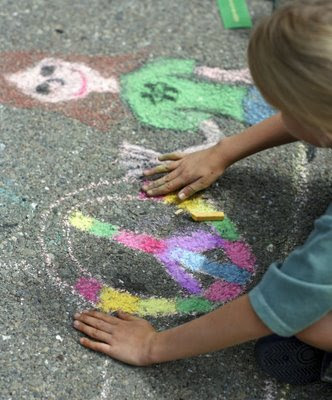 Top: Destiny artists chalk it up! Middle: Joaquin traces an acrobat! the BEACH ELEMENTARY SCHOOL in Piedmont, California. WHAT A COLLECTION OF CHALKSTARS!